**I'm away on vacation for a bit. So today's guest blogger is Pam of Sew Gracious. It's one of the most simple, yet complex things in this world. Most of the planet is covered by it. Our bodies are mostly composed of it. We drink it, we bathe in it, we cook with it. It comes in bottles. It falls from the sky. Water. Simple. Complex. A basic necessity, like so many others, provided by our Heavenly Father. 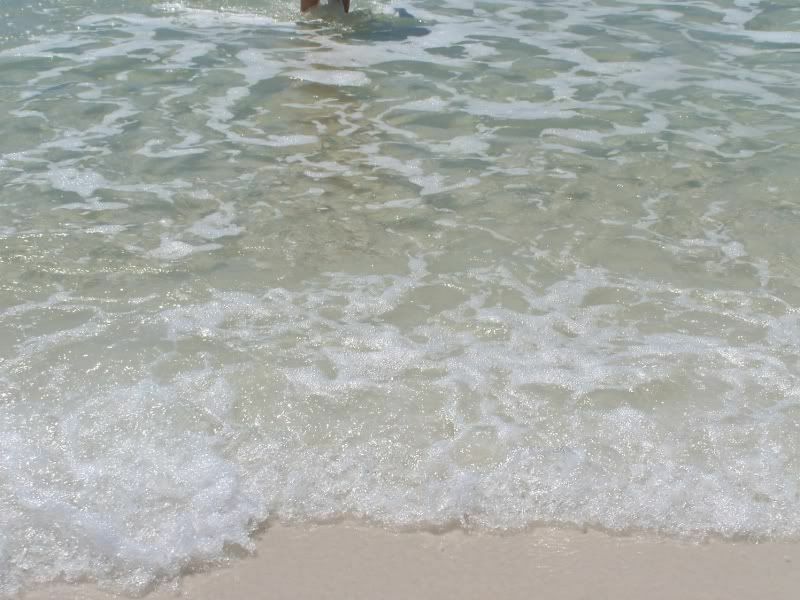 I love this simplicity of this picture from the beach. The gentleness of the waves, the color of the sand, the sun. What a blessing and a reminder that God provides our every need. Ooo, that looks so inviting! And something I take so for granted. Thanks for the reminder to be thankful. Have a safe and wonderful holiday weekend! Water! So thankful for it but often taken for granted! Thanks for a beautiful and wonderful fingerprint. I am so thankful for every drop we get. I have to say, the rain is getting to me, but that is a bit different. What a great fingerprint and so important. Hello all! I'm honored to be Beki's Guest Blogger today! Thanks so much for your wonderful comments! Have a wonderful & safe holiday weekend! One of my favorite things on earth...water...in oceans, lakes, streams, pools, fountains, showers...whatever the delivery method, I love the stuff!